Diamond Naturals Large Breed Adult Dog Lamb & Rice 40 Lb. Lamb protein and proper fat levels provide the nutrients needed to sustain a large body while maintaining ideal body condition. Glucosamine and chondroitin help support joints, and omega-6 and omega-3 fatty acids from super foods help maintain healthy skin and a shiny coat. For dogs that may have sensitivities to other protein sources, lamb is a tasty alternative. Diamond Naturals Lite Dog 30 Lb. Diamond Naturals Lite Dog 15 Lb. Diamond Naturals Senior 8+ Dog 6/6 Lb. Diamond Naturals Senior Dog is formulated to meet the needs of your aging friend. Optimal protein and fat levels help your senior dog maintain ideal body condition, while added glucosamine and chondroitin support joints. Probiotics and added fiber help support digestion even in sensitive pets. Diamond Naturals Large Breed Puppy 6/6 Lb. Specifically formulated to meet the nutritional needs of your large breed puppy, this formula contains DHA for proper brain and vision development. Ideal protein and mineral content, along with omega fatty acids and antioxidants, help support your large breed puppy’s growth and development. L-Carnitine helps to convert protein and fat into energy for ideal, healthy body condition. Diamond Naturals Small Breed Dog Lamb & Rice 6/6 Lb. Diamond Naturals Small Breed Dog Chicken & Rice 6/6 Lb. Small kibble is easy for small mouths to chew, and also helps clean teeth and reduce plaque. 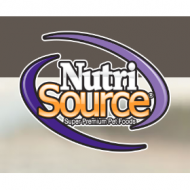 27% protein, 16% fat and added super foods provide your small breed dog with the nutrients necessary for optimal health and an active lifestyle. Diamond Naturals Small Breed Puppy 6/6 Lb. 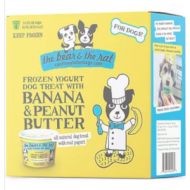 Tiny bites made for tiny teeth deliver the complete nutrition your small breed puppy needs to grow up strong and healthy. Added DHA promotes proper brain and vision development, while omega-6 and omega-3 fatty acids help keep the skin healthy and coat shiny from the start. Diamond Naturals Lamb & Rice Dog 6/6 Lb. Lamb protein and moderate levels of fat help support ideal body condition while providing the nutrients your dog needs to stay active day after day. Guaranteed levels of vitamin E and selenium ensure that your dog receives optimum antioxidant nutrition, while omega-6 and omega-3 fatty acids from super foods help maintain healthy skin and a shiny coat. For dogs that may have sensitivities to other protein sources, lamb is a tasty alternative. Diamond Naturals Extreme Athlete Dog 40 Lb. Diamond Naturals Extreme Athlete is specifically formulated with optimal levels of protein, fat and whole grain to fuel your hard-working dog. Omega fatty acids and antioxidants help support ideal muscle condition, helping your dog stay active, strong and fit. Diamond Naturals Senior 8+ Dog 35 Lb. Diamond Naturals Senior 8+ Dog 18 Lb. Diamond Naturals Large Breed 60+ Dog 40 Lb. Proper protein and fat levels provide the nutrients needed to sustain a large body while maintaining ideal body condition. Glucosamine and chondroitin help support joints, and omega-6 and omega-3 fatty acids from super foods help maintain healthy skin and a shiny coat. Diamond Naturals Large Breed Puppy 40 Lb. Diamond Naturals Large Breed Puppy 20 Lb. Diamond Naturals Beef & Rice Dog 40 Lb. Real beef protein, along with added super foods, provides the energy and muscle building blocks your dog needs to stay active and strong. Guaranteed levels of vitamin E and selenium ensure that your dog is receiving optimum antioxidant nutrition, while omega-6 and omega-3 fatty acids from super foods help maintain healthy skin and a shiny coat. Diamond Naturals Small Breed Dog Lamb & Rice 18 Lb. Diamond Naturals Small Breed Chicken & Rice 18 Lb. Diamond Naturals Small Breed Puppy 18 Lb. Diamond Naturals Chicken & Rice Dog 40 Lb. With 26% protein, 16% fat and added super foods, Diamond Naturals Chicken & Rice Formula for Adult Dogs supplies the energy and muscle building blocks your dog needs to stay active and strong. Guaranteed levels of vitamin E and selenium ensure your dog is receiving optimum antioxidant nutrition and crunchy kibble helps clean teeth and reduce plaque. Diamond Naturals Lamb & Rice Dog 40 Lb. Diamond Naturals Lamb & Rice Dog 20 Lb. Diamond Premium Adult Dog 40 Lb. Specially designed to give active, athletic dogs the nutritional support they need to stay in peak physical condition at work or play. Formulated with a precise balance of high quality protein and fat to promote the building of healthy muscle tissue and to give extra energy to maintain stamina. 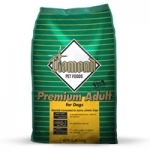 Diamond Premium Adult Dog 20 Lb.